civics@lendrum.org with your suggestions or concerns. Stephen also chairs the South Campus Neighbourhood Coalition (SCNC), which includes Leagues around the U of A Farm. Current Lendrum Civics Issues that are being addressed. Also see the Lendrum Living Newsletters for additional topics of interest. The Capital Region Housing Lendrum Redevelopment project is located north of 60th Avenue. Demolition and construction will begin in summer 2019. Construction is anticipated to take two years. Development of a Task Force On Crime & Crime Prevention with other community leagues in the area. 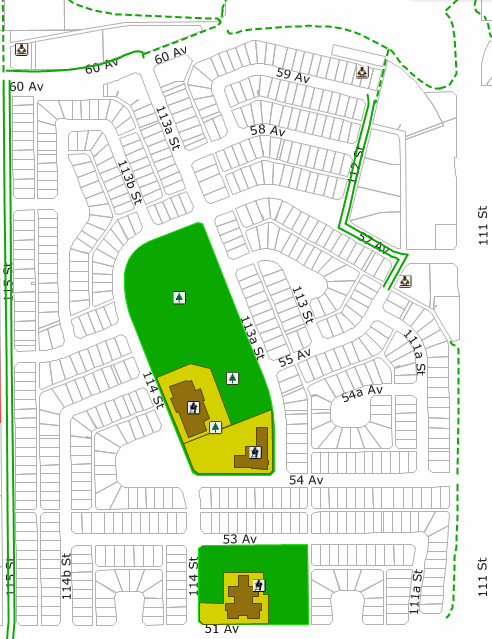 As of January 1, 2016, the City of Edmonton implemented a Residential Parking Program in Northwest Lendrum. Annual Residental Parking Permits are required by residents and Temporary Permits for their guests parking longer than 2 hours along the signed areas. Civics deals with issues concerning planning, development and other information coming from our City Council as well as other levels of government. Our Lendrum Community League Civics Coordinator puts together our Community's Response based on your feedback on issues, such as transportation, zoning, city bylaws, and land use and development, that affect our community and its livability for all.